In preparation for the launch of the Tokidoki x Karl Lagerfeld apparel and accessories collection, Los Angeles–based pop culture brand Tokidoki has released Mr. Choupette, aKarl Largerfeld statuette featuring (and named after) the designer’s cat Choupette. Mr. Choupette joined two other Lagerfeld figurines: Mr. Jeans and Mr. Black. But, as Tokidoki points out, this is Choupette’s first appearance immortalized in plastic. The figurine is limited-edition and available for $200 at the Tokidoki boutique in Los Angeles—and on the company’swebsite beginning July 12. The Tokidoki x Karl Lagerfeld collection will be sold exclusively by Net-a-Porterbeginning July 3. You can see a preview here or wait for the full adventure on Karl Lagerfeld’s YouTube channel on July 3, with full animation debuting July 3 via the Karl Lagerfeld YouTube channel. I know what you’re thinking: Man in suit holding a cat? 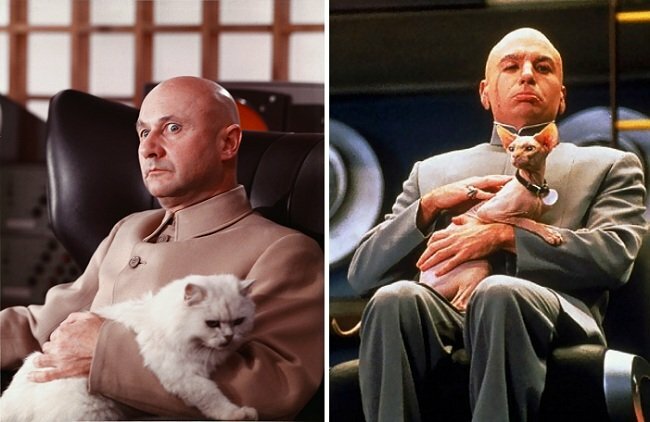 James Bond (or Austin Powers) villain. But check out the real thing in this Harpers Bazaar profile. and you’ll realize it’s only a passing resemblance. 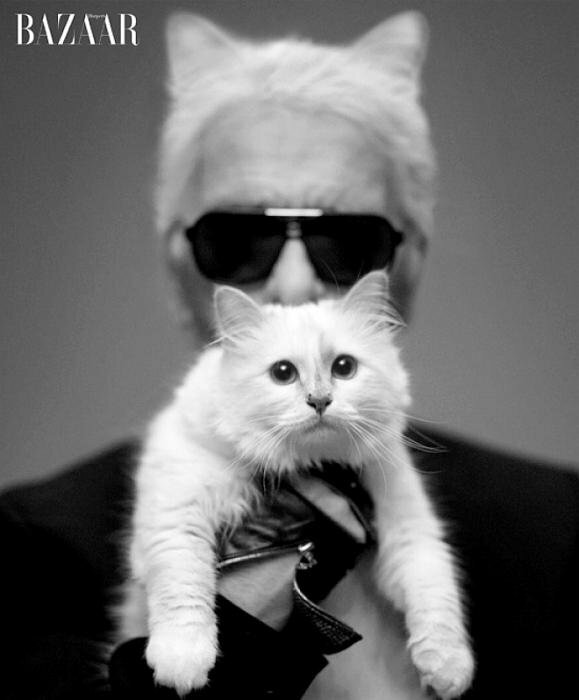 Besides, this is Karl Lagerfeld. Once the animated series starts, the arm cat could become the new purse chihuahua. First published at ApparelNews.net on July 1, 2013.